Making a Literacy Center just got easier! 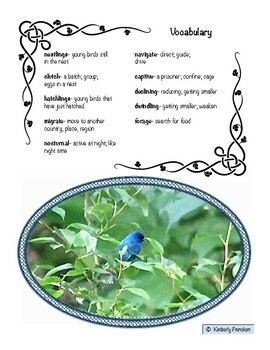 Your students will love discovering facts about the migration of these nocturnal song birds, and reading about their nesting habits in the informational text passages included in this 15 page resource. 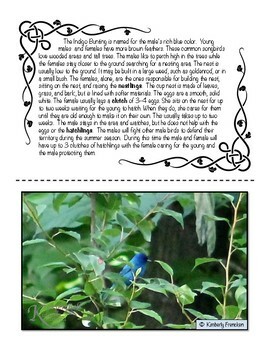 Also included is a glossary, how to use page, how to prepare page, answer keys, and poster quality photos. Perfect for a quick and engaging literacy center. 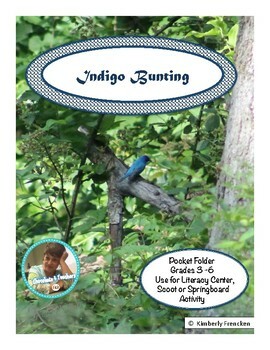 Or, you can double the benefit by also using it as a springboard activity or scoot activity. You could even add it to your substitute folder for an easy sub plan! So many uses in one resource! For more literacy centers check out the other resources in my Easy- to-Prepare and Fun-to-Use Literacy Centers category!